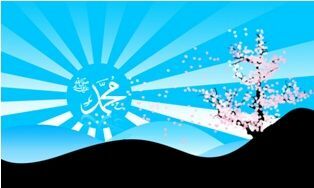 Did the Sahaba Commemorate The Birthday of the Holy Prophet (صلى الله عليه و آله وسلم)? Yes, it is a well recorded fact that they did commemorate his birthday by fasting on Monday, like the Prophet himself did when he told them he fasted on Mondays because it was the day he was born (thereby commemorating his own day of birth), and also by composing and reciting poetry in praise of the Prophet (for example: Ka’b ibn Zubayr, Abdullah ibn Rawaha, Hassan ibn Thabit, Qurra ibn Hubayr, and many others), and through other expressions of joy, due to which he (صلى الله عليه و آله وسلم) would reward them greatly (as narrated by the compilers of Sira, such as Ibn Sayyid an-Nas in his Minah al-Madh, who listed the names of over 180 companions who composed praise-poetry for him صلى الله عليه و آله وسلم ). Anyone who claims otherwise, that the Sahaba did not commemorate his day of birth but rather ignored it, will have to answer before them on the Day of Judgment for his claims. Ibn Sayyid al-Nas narrated it with his isnad throughTabarani and Bazzar in Minah al-Madh (p. 192-193). IbnKathir in al-Sira al-Nabawiyya (4:51) and `Ali al-Qari in his Sharh al-Shifa` (1:364) say it is narrated by Abu Bakr al-Shafi`iand Tabarani, and cited by Ibn `Abd al-Barr in al-Isti`ab andIbn al-Qayyim in Zad al-Ma`ad. The light mentioned by al-‘Abbas is confirmed by the Prophet(salla allahu alayhi wa sallam) himself in the famous narration describing his own birth. This is clearly commemoration of his birth set in poetry. “I say, and none can find fault with me/But one lost to all sense and kept far/My love shall never cease to praise him/It may be for so doing I shall be forever in Paradise/With the Chosen One for whose support in that I hope/And to attain to that day I devote all my efforts” (Sira Ibn Hisham). As for the hollow argument that Mawlid celebrations should be banned because of some unlawful activities that take place in some of them, then one should similarly forbid weddings celebrations, ‘Eid al-Fitr celebrations, ‘Eid al-Adha celebrations, and other similar ones because people perform unlawful activities in these as well. Recorded by Ibn Majah (#3940 Sahih – Suyuti’s Jami’ Saghir #2221), Tirmidhi (K Fitan #2093), Abu Dawud(#3711), Nasa’i (Sunan Kubra, #3483), Bayhaqi in Asma’ wa Sifat (p. 322 Sahih) and Shu’ab al-Iman (6:67 #7517), Abu Nu’aym (Hilya, 3:37, 9:238), Hakim (1:115-16, 4:556 Sahih), ‘Abd ibn Humayd (Musnad, #1218), Ahmad (Musnad, #25966), Darimi (#54, Da’if), Diya’ al-Maqdisi (7:129), Quda’i(1:167 #239), Daraqutni in his Sunan (4:245), Ibn Abi Shayba(8:604, 672, 683), Tabarani in his Mu’jam al-Kabir (1:153, 1:186, 3:209, 12:447, and 17:239-40, Sahih – Haythami in his Majma’ 5:218-19) and Mu’jam al-Awsat (5:122, 6:277, 7:193), Ibn Abi ‘Asim in his Kitab as-Sunna (p. 39-41 #80-85, p. 44 #92), and others.